Halo is a military science fiction first-person shooter video game franchise managed and developed by 343 Industries, a subsidiary of Xbox Game Studios. Halo was originally developed by Bungie Studios. The series centers on an interstellar war between humanity and an alliance of aliens known as the Covenant. The Covenant, led by their religious leaders called the Prophets, worship an ancient civilization known as the Forerunners, who perished while defeating the parasitic Flood. The central focus of the franchise builds off the experiences of Master Chief John-117, one of a group of supersoldiers codenamed Spartans, and his artificial intelligence (AI) companion, Cortana. Other characters, such as Noble Six from Halo: Reach, are also introduced in the series. The term "Halo" refers to the Halo Array: a group of immense, habitable, ring-shaped superweapons that were created by the Forerunners to destroy the Flood. They are similar to the Orbitals in Iain M. Banks' Culture novels, and to a lesser degree to author Larry Niven's Ringworld concept. The games in the series are critically acclaimed, with the original considered the Xbox's "killer app". This led to the term "Halo killer" being used to describe console games that aspire, or are considered, to be better than Halo. Fueled by the success of Halo: Combat Evolved, and by marketing campaigns from publisher Microsoft, its sequels went on to record-breaking sales. The games have sold over 65 million copies worldwide, with the games alone grossing almost $3.4 billion. Strong sales of the games led to the franchise's expansion to other media; there are multiple best-selling novels, graphic novels, and other licensed products. Halo Wars took the franchise into new video game genre territory, as a real-time strategy game, while the rest of the games in the series are first-person shooters. Beyond the original trilogy, Bungie developed the expansion Halo 3: ODST, and a prequel, Halo: Reach, their last project for the franchise. A high-definition remake of the first game, entitled Halo: Combat Evolved Anniversary, was released on November 15, 2011, ten years after the release of the original. A new installment in a second series of games, Halo 4, was released on November 6, 2012. Halo: The Master Chief Collection, a remastered compilation of the four primary Halo titles, was released for the Xbox One on November 11, 2014. In October 2015, Halo 5: Guardians was released. In February 2017, Halo Wars 2 was released. In June 2018, the next main installment of the Halo series was announced as Halo Infinite. In March 2019, Halo: The Master Chief Collection was announced for Windows PCs, along with a remastered version of Halo: Reach that would also be included in the Xbox One and PC versions of The Master Chief Collection. In the distant past, a powerful race called the Forerunners fought an alien parasite known as the Flood. The Flood and the Gravemind, which spread through infestation of sentient life, overran much of the Milky Way Galaxy. Exhausted by their war and after having explored all other options, the Forerunners conceived a weapon of last resort to combat the Flood, called the Halo Array. Using an installation known as the Ark, they built large ring-shaped megastructures known as Halos. The Halo Array, when activated, would destroy all sentient life in the galaxy – depriving the Flood of their food, after which samples of the lost lifeforms would be reseeded. Delaying as long as they could, the Forerunners activated the rings and disappeared. Nearly a hundred thousand years later, in the 26th century, humanity – under the auspices of the United Nations Space Command, or UNSC – colonize many worlds thanks to the development of faster-than-light "slipspace" travel. Tensions escalate between the older and more stable "Inner Colonies" and the newer, remote "Outer Colonies", leading to civil war. The UNSC sponsors the Spartan-II program to create an elite group of enhanced supersoldiers, whose purpose is to suppress the rebellions covertly. In the year 2525, human worlds come under attack by a theocratic alliance of alien races known as the Covenant. The Covenant leadership declares humanity heretics and an affront to their gods – the Forerunners – and begins a holy war of genocide. The Covenant's superior technology and numbers prove decisive advantages; though effective, the Spartans are too few in number to turn the tide of battle in humanity's favor. In 2552, the Covenant arrive at the UNSC's last major stronghold beyond Earth – the planet Reach, in orbit of Epsilon Eridani – and launch an invasion of the planet. The last Spartans and UNSC military are unable to stop the Covenant from bombarding the planet. The UNSC Navy suffers devastating losses, and every Spartan on Reach is assumed dead or classified as Missing in Action but, player character Master Chief John-117, and Spartan Jun-A266, is believed to be lost in action. Following directives to avoid leading the Covenant to Earth, Cortana, the AI aboard the fleeing UNSC ship Pillar of Autumn, selects random coordinates that lead the ship to a Halo ring, Installation 04. These events form the backdrop to the first game in the series, Halo: Combat Evolved. Over the course of the game, the Covenant pursue, damaging the Autumn and leading its crew to wage a guerrilla war on the ring's surface. The Covenant accidentally release Flood imprisoned on the ring; to nullify the threat, the ring's AI caretaker, 343 Guilty Spark, enlists the help of the Master Chief in activating Halo. Cortana reveals that Halo's activation would mean their own destruction. Therefore, she and the Master Chief chose to detonate Autumn's engines, destroying Halo and preventing the escape of the Flood. Between the events of the first game and Halo 2, the Chief and a few other survivors return to Earth, warning of an impending Covenant attack; this attack forms the first mission of the game. Meanwhile, the Covenant, unaware of the destructive nature of the rings, attempt to fire another ring, Installation 05, to fulfill their religious prophecy and to do so launch an attack on Earth. Helping the Chief defend Earth are Sergeant Avery Johnson and Commander Miranda Keyes. The Covenant Elites learn the truth about the rings and are led by a former Elite commander named the Arbiter (also a player character) to join forces with humanity to stop the firing of the ring. Though they are successful, the unexpected shutdown of the installation triggers a fail-safe protocol, priming all the rings for firing from the Ark. Halo 3 picks up immediately after, with the Covenant's leader, the High Prophet of Truth, and the remaining loyalist Covenant uncovering a portal to the Ark on Earth. A battle rages on Earth between human forces, the Covenant, and a Flood-infected army. Eventually, the Covenant is repulsed and flees through a slipspace portal, and the Flood is purged from Earth, though much of Africa has been devastated in the battle. Chief, Arbiter, Elites, Johnson, Keyes, and U.N.S.C. troops follow the Covenant "Prophet of Truth" through the portal, joined by 343 Guilty Spark, who aids the Chief as he has no function to fulfill after the destruction of his ringworld. During the ensuing battle between humans, Covenant, and the Flood on the Ark, Johnson is captured by Truth to activate the Halo rings. Keyes tries to intervene, but is killed. Master Chief and the Arbiter, forming a temporary truce with the Flood, kill Truth and rescue Johnson. After finding out that the Ark is constructing a replacement for Guilty Spark's Halo ring, Master Chief decides to fire the unstable Halo to eliminate the Flood but destroy the ring and the Ark. Unwilling to lose "his" ring, Guilty Spark kills Johnson, but Master Chief destroys Guilty Spark and activates the Halo. Master Chief and the Arbiter escape on the UNSC frigate Forward Unto Dawn, but the slipspace portal closes with Master Chief's half trapped in space. After a memorial service on Earth for the victims of the Human-Covenant war, the Arbiter and his Elite brethren depart for their home planet. The rear half of Forward Unto Dawn is floats in deep space. Cortana activates a distress beacon and the Chief goes into cryosleep. Four years later, the Chief and Cortana awake to find they are being attacked by a Remnant Covenant splinter faction led by Jul 'Mdama (Halo 4). Caught in an artificial gravity well, they are pulled into the artificial Forerunner planet of Requiem, along with the UNSC ship Infinity. Master Chief, fighting Jul 'Mdama's Covenant faction and ancient Forerunner warriors called Prometheans, unwittingly releases a hostile Forerunner known as "The Didact" from imprisonment. While seeking a way to combat the Didact, Cortana reveals that she is becoming "rampant" (an inevitable state leading to insanity that AIs reach when their knowledge base finally becomes too large). Master Chief is eventually contacted by a personality construct of a Forerunner called the Librarian (The Didact's Wife), who tells him about the Didact: during the crisis with the Flood, the Didact tried to use a device called the Composer to transform humanity into Prometheans. He did this because he needed soldiers that were immune to Flood Infection. His own race then imprisoned him along with the Forerunner soldiers and humans he had already converted. The Composer was hidden. After the Didact leaves Requiem and retrieves the Composer, Cortana and the Master Chief pursue him to Earth. Although the Didact is able to fire the Composer at North America, digitizing over seven million people, the Master Chief and Cortana are eventually able to cast the hateful Forerunner into a slipspace portal. They then destroy the Composer and the Didact's ship with a nuclear device. Cortana sacrifices herself to save the Master Chief from the resultant explosion. Master Chief is later found floating among the rubble, and taken back to Infinity. Halo 5: Guardians begins three months and one year later. Blue Team — consisting of four of the five remaining Spartan-II's (Master Chief, Fred-104, Kelly-87 and Linda-58), receives signals from Cortana indicating that she has survived her "death" by taking advantage of an ancient construct known as the Domain. The Chief, disobeying direct orders, travels to the planet Genesis to reunite with her. Another fireteam known as Fireteam Osiris, a group of Spartans from the competing Spartan-IV program, are dispatched to apprehend him. This journey takes them to several places around the galaxy, including the Elite homeworld of Sanghelios, where the Arbiter leads an offensive against the final remnants of Jul 'Mdama's Ex-Covenant faction. As they travel, Osiris discover that Cortana is activating ancient Forerunner constructs — the eponymous Guardians — with which she plans to impose permanent galactic peace on pain of death. She holds the Master Chief's team captive in a Cryptum to force them into meditative hibernation, and while Fireteam Osiris are able to rescue them, they are not able to stop Cortana from executing her plan: disabling most contemporary technology in the galaxy by way of the Guardians, and thus bringing all remaining sentient species under her aegis. As the game ends, Blue Team, Fireteam Osiris and the Arbiter regroup on Sanghelios to plan their resistance. The games of the main Halo trilogy were developed by Bungie, and are first-person shooters in which the player experiences most action from the protagonist's perspective. The first title in the series is Halo: Combat Evolved on Xbox, released on November 15, 2001. The game was initially intended to be released for Windows and Mac OS, until Microsoft's purchase of Bungie in 2000 led to the game becoming an Xbox launch title and delaying any release for personal computers for 2 years. Halo: Combat Evolved introduced many gameplay and plot themes common to the whole trilogy. Players battle various aliens on foot and in vehicles to complete objectives, while attempting to uncover the secrets of the eponymous Halo. One concept introduced in Halo: Combat Evolved, is limiting the number of weapons players could carry to two, forcing them to carefully select their preferred armament. Players fight with ranged and melee attacks, as well as a limited number of grenades. Bungie refers to the "weapons-grenades-melee" format as the "Golden Triangle of Halo", which has remained fundamentally unchanged throughout the trilogy. In Halo: Combat Evolved, the player's health is measured in both hit points and a continually recharging energy shield; the sequels forgo the hit point system, although it returns in spin-offs. A Windows and Mac OS X port was later developed by Gearbox Software, and released on September 30 and November 11, 2003, respectively. A stand-alone expansion, entitled Halo: Custom Edition, was released as a Windows exclusive, and allowed players to create custom content for the game. Its sequel, Halo 2 was released on the Xbox on November 9, 2004, and later for Windows Vista on May 17, 2007. For the first time, the game was released in two different editions: a standard edition with just the game disc and traditional Xbox packaging; and the Collector's Edition with a specially designed aluminum case, along with an additional bonus DVD, extra booklet, and slightly different user manual. Halo 2 introduced new gameplay elements, chief among them the ability to hold and fire two weapons simultaneously, known as "dual wielding". Unlike its predecessor, Halo 2 fully supported online multiplayer via Xbox Live. The game uses "matchmaking" to facilitate joining online matches by grouping players looking for certain types of games. This was a change from the more traditional "server list" approach, which was used to find matches in online games at this time. Upon release, Halo 2 became the game played by the most people on the Xbox Live service that week; it retained this title for over two years – the longest streak any game has held the spot. Halo 3 is the final game in the main Halo trilogy, ending the story arc begun in Halo: Combat Evolved. The game was released on the Xbox 360 on September 25, 2007. It adds to the series vehicles, weapons, and a class of items called equipment. The game also includes a limited map-editing tool, known as the Forge, which allows players to insert game objects, such as weapons and crates, into existing multiplayer map geometry. Players can save a recording of their gameplay sessions, and view them as video, from any angle. At E3 2014, Microsoft and 343 Industries announced Halo: The Master Chief Collection, released on November 11, 2014, for the Xbox One. The game includes the full campaign and multiplayer modes of Halo: Combat Evolved, Halo 2, Halo 3, and Halo 4. The campaign of Halo 3: ODST was later released as downloadable content, and was free for those who bought The Master Chief Collection during late 2014. Following Bungie's split from Microsoft, 343 Industries – a studio established by Microsoft in 2009 – took the helm of the Halo franchise. 343 had already co-developed the Halo Legends animated series and had overseen production of Halo: Reach and Halo: Combat Evolved Anniversary. The next game in the series, Halo 4, was announced at E3 2011 as the first entry in what would be a new series of Halo games, also known as the "Reclaimer Trilogy". The game included many staples of previous games, such as new or redesigned weapon types, an improved map-editing tool and expanded multiplayer options and maps. Halo 4 was released worldwide on November 6, 2012, achieving record sales for the franchise. In a new addition to the series, a story-driven multiplayer campaign entitled Spartan Ops was released over the weeks following Halo 4's release, telling what happened after the end of the main game. Halo 5: Guardians, the sequel to Halo 4, was released for the Xbox One on October 27, 2015. The game takes place on many different worlds, mainly the Covenant's, and revolves around Spartan Locke's hunt of Master Chief. The third part of the Reclaimer Saga, Halo Infinite, was announced during E3 2018. Halo Infinite will shift its focus back on to the Master Chief and will take place after the events of Halo 5: Guardians. The success of the main Halo trilogy spurred the creation of spin-off games. Halo Wars is a real-time strategy game developed by Ensemble Studios for the Xbox 360. Set in the year 2531, the game takes place 21 years prior to the events of Halo: Combat Evolved. Much effort was spent on developing a control scheme that was simple and intuitive, unlike other console strategy games. The game was announced at X06, and released in February and March 2009. In a July 2008 interview with MTV, Microsoft's head of Xbox business, Don Mattrick, stated that Bungie was working on a new Halo game for Microsoft, independent of other Halo projects. An announcement of the new Halo project was expected at the 2008 E3 game exposition, which Bungie stated "has been building for several months", but was delayed by their publisher Microsoft. The Halo announcement was to be part of Microsoft's 150-minute E3 presentation, and was cut to trim the presentation down to 90 minutes; Microsoft stated it wanted to give the game its own dedicated event. After the release of an ambiguous teaser trailer on September 25, the project was revealed as Halo 3: Recon, later changed to Halo 3: ODST. Set between the events of Halo 2 and Halo 3, players take control of elite human soldiers called Orbital Drop Shock Troopers (ODST). The game was released on September 22, 2009. After releasing Halo 3, Bungie decided to create a prequel to the original Halo trilogy. As the game would take place on a human world doomed to be destroyed, their focus on the environment in the game was extensive. Longtime Halo composers Martin O'Donnell and Michael Salvatori returned to compose Reach's soundtrack, aiming for a more somber sound to coincide with the story. Reach was announced at the Electronic Entertainment Expo 2009, and the first trailer was shown at the 2009 Spike Video Game Awards. Players who purchased ODST were eligible to participate in a Reach multiplayer beta in May 2010; the beta allowed Bungie to gain player feedback for fixing software bug as well as improving gameplay before finalizing the release. Microsoft's budget for the marketing campaign of Reach was the largest yet in the series, and created award-winning live-action commercials, action figures, and interactive media to promote the game. After release, the game grossed US$200 million on its first day, setting a new record for the franchise. Reach additionally sold well internationally, in addition to moving more than three million units its first month in North America. Critical reception was positive, with reviews from GamePro, IGN, and Official Xbox Magazine calling it "the best Halo title yet." The game was Bungie's final work on a Halo release. In October 2017, 343 Industries released a virtual reality demo title Halo Recruit. A Fireteam Raven arcade booth in Edinburgh, UK. In 2018, 343 Industries partnered with Raw Thrills and PlayMechanix to develop a coin-operated arcade game called Halo: Fireteam Raven that was released in the later part of 2018, with Round1 USA and Dave & Buster's arcades releasing first. Alternative reality games were used to promote the release of the games in the main trilogy. The Cortana Letters, a series of cryptic email messages, were circulated by Bungie prior to Halo: Combat Evolved's release. I Love Bees was used to promote the release of Halo 2. The game revolved around a website created by 42 Entertainment, commissioned by Microsoft and endorsed by Bungie. Over the course of the game, audio clips were released that eventually formed a complete five-hour story set on Earth between Halo and Halo 2. Similarly, Iris was used as a viral marketing campaign for the release of Halo 3. It featured five web servers containing various media files related to the Halo universe. Several spin-off titles were planned for release on handheld systems, but did not progress far in development. Rumors of a handheld Halo title for the Game Boy Advance surfaced in 2004. Bungie denied the rumors and commented that such a project between Microsoft and Nintendo would be "very unlikely". At a Las Vegas consumer technology convention in January 2005, rumors spread about a version of Halo for the handheld Gizmondo system. Bungie denied the rumors stating they were not making a game for the system. A former Gizmondo employee later revealed development only extended to basic story and game structure concepts to obtain funding from investors. In 2006, a concept video for Microsoft's portable Ultra-Mobile PC featured footage of Halo and caused speculation for a handheld title. Microsoft later stated the footage was for demonstration purposes only; Halo was included because it was a Microsoft-owned property. In January 2007, IGN editor-in-chief Matt Casamassina claimed he played a version of Halo for the Nintendo DS. He later demonstrated on-camera, in-game footage of an early-development style version of Halo DS. The demonstrated work featured dual-wielding and a version of the Halo 2 map Zanzibar. On October 5, 2007, Bungie employee Brian Jarrard explained the Halo DS demo was in fact an unsolicited pitch that was never taken on. In 2006, Microsoft announced an episodic video game to be developed by film director Peter Jackson's Wingnut Interactive. The game, dubbed Halo: Chronicles, was confirmed to be in development in 2007, and by 2008 was still hiring for positions on the development team. Jackson told game blog Joystiq in July 2009 that the project was no longer in development. Jackson's manager Ken Kamins explained that the project was cancelled as part of budget cuts tied to job layoffs in January 2009. Before the company was shuttered after producing Halo Wars, Ensemble Studios had been working on a Halo-themed massively multiplayer online game, often referred to as Titan Project, or just Titan. The project was cancelled internally in 2007–2008, without a formal announcement from Microsoft. On March 25, 2015, 343 Industries announced Halo Online, a free-to-play Halo multiplayer game for Windows. A closed beta test limited to Russia launched in the second quarter of 2015. The title was developed with Saber Interactive and published by Innova Systems; it is powered by a modified version of the Halo 3 engine. The project was cancelled in August 2016. A leaked beta of the game was used and modified with a launcher dubbed "ElDewrito" that circumvented the region limitation and later added content and bugfixes to the game, after the cancellation of the release. Elements from the Halo universe have also appeared in other games. A Halo-based character, Spartan Nicole-458, appeared in Dead or Alive 4, a product of the collaboration between Tecmo's Team Ninja and Microsoft's Bungie. The Halo theme tune was also available as downloadable content for Guitar Hero III: Legends of Rock. The Arbiter appears as a playable character in Killer Instinct: Season Three, alongside a Halo-themed stage. In Forza Horizon 4 one level has the player racing across the map in the Warthog as the Master Chief, with the Halo ring visible in the sky, Cortana on the radio and various Covenant based obstacles to avoid. In December 2014, 343 Industries general manager Bonnie Ross expressed Microsoft's aim for the Halo series to last at least 30 more years. In June 2018, Microsoft announced Halo Infinite at the Electronic Entertainment Expo. Bungie is a game development company started in 1991 by Alex Seropian. Seropian partnered with programmer Jason Jones to market and release Jones' game Minotaur: The Labyrinths of Crete. Focusing on the Macintosh game market because it was smaller and easier to compete, Bungie became the biggest Mac developer with games including the shooters Pathways into Darkness and Marathon. What became Halo was originally code-named Monkey Nuts and Blam!, and took place on a hollowed-out world called Solipsis. The planet eventually became a ringworld, and an artist suggested the name "Halo", which became the game's title. The first Halo game was announced on July 21, 1999, during the Macworld Conference & Expo. It was originally planned to be a real-time strategy game for the Mac and Windows operating systems, but later changed into a third-person action game. On June 19, 2000, Microsoft acquired Bungie and Halo: Combat Evolved became a launch title for the Xbox video game console. After receiving Xbox development kits, Bungie rewrote the game's engine, heavily altered its presentation, and turned it into a first-person shooter. Though the first Halo was meant to include an online multiplayer mode, it was excluded because Xbox Live was not yet available. Halo was not intended to be the Xbox's flagship game due to internal concerns and gaming press criticism, but Microsoft VP of game publishing Ed Fries did not act on these concerns. The Xbox's marketing heavily featured Halo, whose green color palette meshed with the console's design scheme. The success of the game led to a sequel, Halo 2, which was announced on August 8, 2002, at Microsoft's New York City X02 press event. It featured improved graphics, new weapons, and a multiplayer mode on Xbox Live. Halo 3 was announced at the 2006 Electronic Entertainment Expo. The initial conception for the third game was done before Halo 2 was released in 2004. It utilized a proprietary, in-house graphics engine, and employed advanced graphics technologies. They created two more Halo games before becoming independent as part of their deal with Microsoft: a side story Halo 3: ODST and a prequel Halo: Reach in 2009 and 2010 respectively. Following the release of Halo 3, Bungie announced it was splitting off from Microsoft and becoming an independent limited liability company. While Bungie remained involved in the Halo series by developing games such as ODST and Reach, the rights to Halo remain with Microsoft. To oversee everything Halo, Microsoft created an internal division, 343 Industries, serving as "stewards" for the franchise. Frank O'Connor, formerly a Bungie employee, now serves as 343's creative director. In announcing the formation of 343 Industries, Microsoft also announced that Xbox Live would be home to a central hub for Halo content called Halo Waypoint. Waypoint is accessed from the Xbox 360 Dashboard and offers players access to multimedia content in addition to tracking their Halo game "career". O'Connor described Waypoint as intended to be the prime destination for Halo. The company's first new game, Halo 4, was released on November 6, 2012, to generally positive reviews. In 2006, in acknowledgment of the "wealth of influences adopted by the Bungie team", a list of Bungie employees' favorite science fiction material was published on the company's website. The developers acknowledged that the Halo series' use of ring-shaped megastructures followed on from concepts featured in Larry Niven's Ringworld and Iain M. Banks' Culture series (of which Consider Phlebas and Excession were said to be particularly influential). In a retrospective article in Edge, Bungie's Jaime Griesemer commented, "The influence of something like Ringworld isn't necessarily in the design – it's in that feeling of being somewhere else. That sense of scale and an epic story going on out there." Griesemer also explained, "One of the main sources of inspiration was Armor [by John Steakley], in which a soldier has to constantly re-live the same war over and over again. That sense of hopelessness, a relentless battle, was influential." The Flood were influenced by the assimilating alien species in Christopher Rowley's The Vang; it has also been speculated that the Master Chief's name "John 117" may have been a reference to a character named Jon 6725416 in Rowley's Starhammer, or to the John Spartan character of Demolition Man. An IGN article exploring the literary influences present in the Halo franchise commented on similarities between Halo and Orson Scott Card's Ender's Game: aspects of the SPARTAN Project and the design of the Covenant Drones are perceived as reminiscent of the super soldier program and Buggers found in the novel. Bungie has also acknowledged James Cameron's film Aliens as a strong cinematic influence. A report written by Roger Travis and published by The Escapist compares Halo with the Latin epic Aeneid, written by classical Roman poet Virgil. Travis posits similarities between the plots of both works and compares the characters present in them, with the Flood and Covenant taking the role performed by the Carthaginians, and the Master Chief's role in the series to that of Aeneas. Nine Halo soundtracks have been released. The Halo Original Soundtrack contains most of Combat Evolved's music. Due to the varying nature of gameplay, the music present was designed to use the game's dynamic audio playback engine. The engine allows for the mood, theme, and duration of music played to change according to gameplay. To afford a more enjoyable listening experience, O'Donnell rearranged portions of the music of Halo into standalone suites, which follow the narrative course of the game. The soundtrack also contains music not used in the game, including a variation on the Halo theme that was first played at Halo's debut at Macworld 1999. In 2011, the soundtrack was remastered and rerecorded for the release of Halo: Combat Evolved Anniversary. For Halo 2's soundtrack, producer Nile Rodgers and O'Donnell decided to split the music into two separate volumes. The first, Volume One, was released on November 9, 2004 and contained all the themes as well as the "inspired-by" music present in the game (featuring Steve Vai, Incubus, Hoobastank, and Breaking Benjamin). The second release, Volume 2, contained the rest of the music, much of which was incomplete or not included in the first soundtrack, as the first soundtrack was shipped before the game was released. Halo 2, unlike its predecessor, was mixed to take full advantage of Dolby 5.1 Digital Surround Sound. In 2014, the in-game music was rerecorded and remastered for the Halo 2 Anniversary release which was part of the Master Chief Collection which included remastered versions of all Halo games with Master Chief as the protagonist. The soundtrack for Halo 3 was released on November 20, 2007. O'Donnell noted he wanted to bring back the themes from the original game to help tie together the end of the trilogy. The tracks are presented, similarly to the previous soundtrack for Halo 2, in a suite form. Unlike previous soundtracks, where much of the music had been synthesized on computer, the soundtrack for Halo 3 was recorded using a 60-piece orchestra, along with a 24-voice chorus. The final soundtrack was recorded by the Northwest Sinfonia at Studio X in Seattle, Washington. The soundtracks were bundled and released as a box set in December 2008. A soundtrack for Halo 3: ODST was released alongside the game and included many of the tracks from the game. For Bungie's last game in the Halo series, Halo Reach, Martin O'Donnell and Michael Salvatori returned to compose the soundtrack. 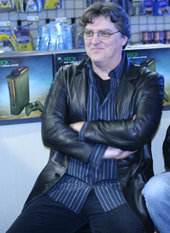 O'Donnell wrote "somber, more visceral" music to reflect the darker nature of the campaign and style of the game. As Bungie had been making Halo 3: ODST and Halo Reach at the same time, Martin O'Donnell had also been composing the soundtracks at the same time but production for the music of Halo Reach did not begin until after the release of Halo 3: ODST. The soundtrack was released on Itunes on September 14, 2010 and in a two-disc set on September 28, 2010. For Halo Wars, the task of creating the game's music fell to Stephen Rippy. Rippy listened to O'Donnell's soundtracks for inspiration and incorporated the Halo theme into parts of his arrangements. In addition to synthesized and orchestral components, the composer focused on the choir and piano as essential elements, feeling these were important in creating the "Halo sound". Rather than use the Northwest Sinfonia, Rippy traveled to Prague and recorded with the FILMharmonic Orchestra before returning to the United States to complete the music. A standalone compact disc and digital download retail version of the soundtrack was announced in January 2009 for release on February 17. The music of Halo 4 was composed by Neil Davidge and Kazuma Jinnouchi. The Halo 4 Original Soundtrack was released on October 22, 2012, followed by a two-disc Special Edition on November 6. Neil Davidge served as an out-of-house composer for 343 Industries which proved to be very expensive leading Kazuma Jinnouchi to take over the responsibility of music production for Halo 5: Guardians. The music by Neil Davidge and Kazuma Jinnouchi for Halo 4 received mixed reviews, being recognized as creative music but too different from the original Halo formula. In 2014, Kazuma Jinnouchi confirmed he would be composing the soundtrack for Halo 5: Guardians. On October 30, 2015, Halo 5: Guardians Original Soundtrack was released on CD and Vinyl. The soundtrack used a 30-person choir located in Prague, Czech Republic. The orchestral soundtrack was recorded at the Abbey Road Studio over the duration of 5 separate trips. In 2017, 343 Industries and Creative Studios released a sequel to Halo Wars titled Halo Wars 2. The soundtrack was composed by Gordy Haab, Brian Lee White and Brian Trifo under the direction of Paul Lipson who had helped in the audio and music of nearly every previous Halo title. The Halo Wars 2 soundtrack featured many melodies from the music that Stephen Rippy had composed for the first Halo Wars but with new arrangements and more melodies to represent the individual characters. The original game soundtrack was released on February 17, 2017 and released digitally on February 21, 2017. The Halo franchise includes various types of merchandise and adaptations outside of the video games. This includes bestselling novels, graphic novels, and other licensed products, from action figures to a packaging tie-in with Mountain Dew. Numerous action figures and vehicles based on Halo have been produced. Joyride Studios created Halo and Halo 2 action figures, while Halo 3 poseable and collectible action figures, aimed at collectors, were produced by McFarlane Toys and became some of the top-selling action figures of 2007 and 2008. MEGA Blocks partnered with Microsoft to produce Halo Wars-themed toys. Numerous printed adaptations based on the Halo video games canon have been published. Larry Niven (author of Ringworld) was originally approached to write a Halo novelization, but declined due to unfamiliarity with the subject matter. The first novel was Halo: The Fall of Reach, a prequel to Halo: Combat Evolved. It was written by Eric Nylund in seven weeks, and published in October 2001. William C. Dietz wrote an adaptation of Halo: Combat Evolved called Halo: The Flood, which was released in 2003. 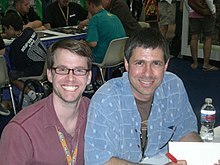 Eric Nylund returned to write the third novel, Halo: First Strike, which takes place between Halo: Combat Evolved and Halo 2, and was published in December 2003. Nylund also wrote the fourth adaptation, Halo: Ghosts of Onyx, which was published on October 31, 2006. Bungie employee Joseph Staten wrote the fifth book, Halo: Contact Harvest, which was released on October 30, 2007, while Tobias S. Buckell produced the sixth, Halo: The Cole Protocol, published in November 2008. Bungie considers the Halo novels as additions to the Halo canon. A collection of Halo short stories, Halo: Evolutions, was simultaneously released in print and audiobook formats in November 2009. Evolutions includes original material by Nylund, Buckell, Karen Traviss and contributions from Bungie. Tor re-released the first three Halo novels with new content and cover art. Science fiction author Greg Bear wrote a trilogy of books focusing on the Forerunners, called The Forerunner Saga. The first book, entitled Halo: Cryptum, was released in January 2011, followed by Primordium in January 2012 and Silentium on March 19, 2013. Karen Traviss wrote the Kilo-Five trilogy, which takes place after the events of Halo 3 and Halo: Ghosts of Onyx. The first book, Halo: Glasslands, came out October 2011, followed by Halo: The Thursday War on October 2, 2012, and Halo: Mortal Dictata on January 21, 2014. The fourteenth Halo book (the thirteenth novel) was released in November 2014: Halo: Broken Circle by John Shirley, the author of novels based on BioShock, Borderlands, and other games. A short novel about Gunnery Sergeant Edward Buck, titled Halo: New Blood was written by Matt Forbeck and released digitally on 2 March 2015 and in print on 15 March 2016. It is 200 pages long. Halo: Saint's Testimony is an 80-page story written by Frank O'Connor that was originally released digitally in July 2015, and in print as part of Halo: Fractures on 20 September 2016. The Halo universe was first adapted into the graphic novel format in 2006, with the release of The Halo Graphic Novel, a collection of four short stories. It was written and illustrated by graphic novelists Lee Hammock, Jay Faerber, Tsutomu Nihei, Brett Lewis, Simon Bisley, Ed Lee and Jean Giraud. At the 2007 New York Comic Con, Marvel Comics announced they would be working on an ongoing Halo series with Brian Michael Bendis and Alex Maleev. The limited series, titled Halo: Uprising, bridges the gap between the events of Halo 2 and Halo 3; initially planned to conclude shortly before the release of Halo 3, the constant delays led to the final issue being published April 2009. Marvel announced at the 2009 Comic Con that two new comics, a five-part series written by Peter David and a second series written by Fred Van Lente, would appear the coming summer and winter. David's series, Halo: Helljumper, is set prior to Halo: Combat Evolved and focuses on the elite Orbital Drop Shock Troopers. The five-part series was published between July and November 2009. Lente's series, originally titled Spartan Black, revolves around a black ops team of Spartan supersoldiers assigned to the UNSC Office of Naval Intelligence. The rebranded comic, Halo: Blood Line, debuted in December 2009. A comic-retelling of the novel Halo: The Fall of Reach was the most recent comic series entitled: Halo: Fall of Reach. Fall of Reach was split into three mini-stories: Boot Camp, Covenant, and Invasion. Two new series were announced in 2013. A three-part series, Halo: Initiation was released August 2013 with Brian Reed returning as writer. Also announced was Halo: Escalation, an ongoing comic series covering the period directly after Halo 4. In 2005, Columbia Pictures president Peter Schlessel began working outside the studio system to produce a Halo film adaptation. Alex Garland wrote the first script, which was then pitched to studios by couriers dressed as Master Chief. Microsoft's terms required $10 million against 15 percent of gross; most studios passed, citing the lack of risk for Microsoft compared to their large share of potential profits. 20th Century Fox and Universal Studios decided to partner to produce the film, paying Microsoft $5 million to option the film and 10 percent of grosses. Peter Jackson was slated to be the executive producer, with Neill Blomkamp as director. Before Blomkamp signed on, Guillermo del Toro was in negotiations to direct. D. B. Weiss and Josh Olson rewrote Garland's script during 2006. The crew stopped and resumed preproduction of the film several times. Later that year, 20th Century Fox threatened to pull out of the project, leading Universal to issue an ultimatum to Jackson and Schlessel: either cut their large "first-dollar" deals, or the project was ended. Both refused, and the project stalled. Blomkamp declared the project dead in late 2007, but Jackson replied that the film would still be made. Blomkamp and Jackson collaborated on District 9, but the director told /Film that he was no longer considering working on a Halo film if the opportunity arose, saying that after working on the film for five months before the project's collapse it would be difficult to return. The rights for the film have since reverted to Microsoft. Halo 4: Forward Unto Dawn is a live-action film and miniseries set in the Halo universe. Although shot as a feature-length film, Forward Unto Dawn was originally released as a webseries consisting of five roughly 15-minute episodes, the first of which was released on October 5, 2012, with the last episode released on November 2, 2012. The series' plot, occurring in the early days of the Human-Covenant War circa 2526, revolves around Thomas Lasky, a young cadet at Corbulo Academy of Military Science, and how John-117 inspired him to eventually become a leader. Lasky is also a prominent character in Halo 4 as a commander on the UNSC Infinity. The name of the series, aside from being a reference to the UNSC frigate Forward Unto Dawn, is given new significance in the series as part a running motif based on a poem. The film cut was released on Blu-ray and DVD on December 4, 2012. On April 3, 2014, it was announced that Ridley Scott and his production company, Scott Free Productions, were working on a Halo digital feature alongside 343 Industries and Xbox Entertainment Studios; Scott would be the executive producer, with David W. Zucker and Sergio Mimica-Gezzan as the directors. The feature was expected to follow the same format as Machinima's Halo 4: Forward Unto Dawn. On June 9, 2014, it was announced at E3 2014 that the feature, titled Halo: Nightfall, would be included with Halo: The Master Chief Collection at its November 2014 launch. The feature introduces a new character to the franchise, Agent Jameson Locke, played by actor Mike Colter; Nightfall is considered to be his origin story. Locke is one of the Spartans portrayed on the cover art of Halo 5: Guardians, and is set to play a large role in the series. On July 24, 2014, 343 Industries released the first trailer for the feature. Halo: Nightfall is available to watch through Halo Channel, an application for the Xbox One, Windows 8.1 and Windows Phone. On March 16, 2015, the series became available to stream, download, and buy on physical disc. On May 21, 2013, 343 Industries announced that a live-action television series of Halo would be produced with Steven Spielberg serving as executive producer. Neill Blomkamp is rumored to direct the pilot for the series. The series will premiere on the American premium cable network Showtime. It had been in development hell for five years. On March 1, 2018, it was announced that the series will start filming in late 2018, with speculation of the series airing in mid- to late-2019. On June 28, 2018, Kyle Killen was hired as showrunner and executive producer and Rupert Wyatt as director and executive producer. On December 4, 2018, Rupert Wyatt stepped down as director and executive producer from the project due to scheduling conflicts. On February 21, 2019, Otto Bathurst replaced Wyatt as director and executive producer. On April 17, 2019, it was announced that Pablo Schreiber is cast as Master Chief. Microsoft announced at Comic-Con 2009 that it was overseeing production of a series of seven short anime films, together called Halo Legends. Financed by 343 Industries, the animation was created by five Japanese production houses: Bones, Casio Entertainment, Production I.G., Studio 4°C, and Toei Animation. Shinji Aramaki, creator and director of Appleseed and Appleseed Ex Machina, served as the project's creative director. Warner Bros. distributed Legends on DVD and Blu-ray in February 2010. Six of the stories are officially part of the Halo canon, with the seventh, made by Toei, intended to be a parody of the universe. In mid-July 2015, 343 Industries announced that a new animated series of Halo will be included in the Halo 5: Guardians Limited Edition and Collector's Edition called Halo: The Fall of Reach, and will be based on the book Halo: The Fall of Reach by Eric Nylund. The Halo franchise has been highly successful commercially and critically. During the two months following Halo: Combat Evolved's release, it sold alongside more than fifty percent of Xbox consoles and sold a million units by April 2002. Halo 2's sales generated US$125 million on its premiere day, making it the fastest selling United States media product in history up to that time. Combined with Halo's sales, the two games sold 14.8 million units before Halo 3's release. Launch events, such as this one at a Best Buy store in New York City, were held the night of Halo 3's release. GameSpot reported 4.2 million units of Halo 3 were in retail outlets on September 24, 2007, a day before official release – a world record volume. Halo 3 broke the previous record for the highest grossing opening day in entertainment history, making US$170 million in its first twenty-four hours. Worldwide, sales exceeded US$300 million the first week, helping to more than double the sales of the Xbox 360 when compared with the weekly average before the Halo 3 launch. At the end of 2007, Halo 2 and Halo: Combat Evolved were the number one and two best-selling Xbox titles, respectively, and Halo 3 was the best-selling Xbox 360 title. Halo Wars was the best-selling RTS console game, selling more than one million units. The Halo series went on to sell more than 27 million copies by August 2009, and more than 34 million copies by May 2010. Tor Books reported that sales of all franchise materials are greater than $1.7 billion, and Bungie's games before Reach accounted for $1.5 billion in sales. The soundtracks to Halo 2, Halo 3, ODST and Reach all appeared on the Billboard 200 charts for at least one week. By May 2011, total gross of Halo merchandise was $2 billion, with 40 million copies of the games sold. The total amount climbed to $2.3 billion in July 2011, and $2.8 billion in January 2012. Total franchise grosses exceeded $4.6 billion by October 2015, with 25% of the figure from non-game-related merchandise. The Halo adaptations have been successful as well. Many of the novels have appeared on Publisher Weekly's bestseller charts and the Halo Graphic Novel sold more than 100,000 copies, a "rare hit" for the games-to-comics genre. Ghosts of Onyx, Contact Harvest, The Cole Protocol and the first volume of Cryptum appeared on The New York Times bestseller lists, and The Cole Protocol also opened 50th overall on USA Today's bestsellers list. Tor's first three novels sold more than one million copies by April 2009. Overall, the Halo series has been very well received by critics. Halo: Combat Evolved has received numerous Game of the Year awards. In March 2007, IGN listed it as the top Xbox game of all time, while readers ranked it the fourteenth best game ever on "IGN Readers' Choice 2006 – The Top 100 Games Ever". Conversely, GameSpy ranked Halo: Combat Evolved tenth on its list of "Top 25 Most Overrated Games of All Time", citing repetitive level design and the lack of an online multiplayer mode. Halo 2 also received numerous awards, with IGN listing it as the number two top Xbox game of all time in March 2007. From its initial release on the Xbox in November 2004 until the launch of Gears of War on the Xbox 360 in November 2006 – two years later – Halo 2 was the most popular video game on Xbox Live. Halo 3 was nominated for and won multiple awards; it won Time magazine's "Game of the Year" and IGN chose it as the Best Xbox 360 Online Multiplayer Game and Innovative Design of 2007. Most publications called the multiplayer aspect one of the best features; IGN said the multiplayer map lineup was the strongest of the series, and GameSpy added that the multiplayer offering will greatly please "Halo veterans". Complaints focused on the game's plot. The New York Times said the game had a "throwaway" plot and Total Video Games judged the single-player aspect ultimately disappointing. The series' music and audio has received enthusiastic response from game reviewers. The main trilogy, particularly its protagonist, are considered iconic and a symbol of today's video games; a wax replica of l Master Chief was made by Madame Tussauds in Las Vegas, where Pete Wentz compared the character to notable characters from previous generations like Spider-Man, Frodo, and Luke Skywalker. The Escapist author Roger Travis compared Halo's story to Virgil's Aeneid, saying the religious and political struggle described in the games relates to the modern epic tradition. GamesTM stated Halo: Combat Evolved "changed video game combat forever", and Halo 2 showcased Xbox Live as a tool for communities. GameDaily noted Halo 2's launch was "easily comparable to the biggest in other sectors of the entertainment industry", marking the first time a video game launch has become a major cultural event in the United States. Time magazine included the franchise in the "2005 Time 100", highlighting that in the first ten weeks after the release of Halo 2, players spent 91 million combined hours playing the game online. A The New York Times report noted the success of Halo 3 was critical for Microsoft, persuading consumers to buy the Xbox 360 console which was experiencing waning sales compared with the Nintendo Wii, as well as helping restore the console's image. On September 25, 2007, the release date for Halo 3, Microsoft's shares rose 1.7% based on sales expectations for the game. Halo has been described as a series that "has reinvented a genre that didn't know it needed to be reinvented", with aspects of the main trilogy being duplicated in other first-person shooter games multiple times. Variety called Halo "the equivalent of Star Wars". As a popular video game series with a large and active fan base, the Halo trilogy has given rise to an array of video productions in an emerging entertainment medium, machinima. Virtually all machinima footage based around Halo is taken from the multiplayer modes of the main trilogy. Most productions are set outside Halo canon, while others are based on fan fiction closely relating to the story. Halo 3 includes a saved film function that allows camera angles not possible in previous games, and other features that simplify production. The game has become one of the most popular tools for generating machinima, and Microsoft updated its user license agreement to allow noncommercial distribution of such films. A notable machinima production is the comedy series Red vs. Blue created by Rooster Teeth Productions. It has achieved an unparalleled level of success in Halo machinima in specific, and machinima in general; it is credited with bringing attention to the genre. Red vs. Blue generated annual revenues of US$200,000, and special promotional episodes were commissioned by Bungie. The first series, The Blood Gulch Chronicles, ended on June 28, 2007, after 100 regular episodes and numerous promotional videos. Subsequent series include The Recollection, which contains more dramatic elements than its comedic predecessor, Project Freelancer, The Chorus Trilogy, and Anthology. Other machinima series include Arby ‘n the Chief, Fire Team Charlie, The Codex, and the in-game interview show This Spartan Life. ^ Sones, Benjamin E. (July 14, 2000). "Bungie dreams of rings and things, part 2". Computer Games Online. Archived from the original on April 8, 2005. Retrieved April 13, 2013. we don't want people to think this is the game of Niven's Ringworld, simply because it takes place on a ring-shaped artificial world… you'd be surprised how often people assume this. ... structurally it's more similar to the "orbitals" in Iain M. Banks' Culture novels. ^ Perry, Douglas C. (May 17, 2006). "The Influence of Literature and Myth in Videogames". IGN. Ziff Davis. p. 6. Retrieved August 12, 2007. [Frank O'Connor, Bungie] The idea of a Ringworld, first posited in sci-fi by Larry Niven in his novel of the same name, is actually a variation of a Dyson Sphere, a fantastically impossible object described by the 20th century physicist, Freeman Dyson... icosohedron-shaped artificial worlds have also been used by Iain M. Banks and others because they are cool. And that's why we used one. ^ Grazier, Kevin R. (May 2, 2007). "Halo Science 101". Gamasutra. Retrieved August 12, 2007. ^ Craig Glenday, ed. (March 11, 2008). "Hardware History II". Guinness World Records Gamer's Edition 2008. Guinness World Records. Guinness. p. 27. ISBN 978-1-904994-21-3. ^ Islam, Zak (July 11, 2011). "Respawn Entertainment's Next Game Will be Halo Killer". PlayStation LifeStyle. Retrieved July 23, 2012. ^ a b Blake Snow. "Analyst: Halo 3 shatters retail record; sells $170M in 24 hrs". GamePro. Archived from the original on October 11, 2007. Retrieved September 26, 2007. ^ Parker, Laura (September 23, 2007). "The $300m space invader". The Sydney Morning Herald. Retrieved June 3, 2008. ^ Slodkowski, Antoni; Izumi, Sachi (September 16, 2010). "Microsoft "Halo: Reach" sales hit $200 million on 1st day". Reuters. Retrieved June 13, 2011. ^ a b Makuch, Eddie (July 13, 2015). "Halo Series Reaches 65 Million Units Sold". GameSpot. CBS Interactive. Retrieved July 13, 2015. ^ Sliwinski, Alexander (November 12, 2012). "Halo 4 made $220 million day one, on track to $300 million in first week". Joystiq. AOL. Retrieved November 12, 2012. ^ Orry, James (December 6, 2012). "Halo 4 sales in the region of 4 million, next game in series already underway". VideoGamer.com. Retrieved December 6, 2012. ^ Gies, Arthur. "Halo: The Master Chief Collection review: the library". Polygon. Vox Media. Retrieved November 11, 2014. ^ "The Halo Universe 101". halo.xbox.com. Microsoft. Archived from the original on April 25, 2010. Retrieved November 19, 2009. ^ "The Halo Timeline". Xbox.com. Archived from the original on February 24, 2007. Retrieved July 30, 2009. ^ Bungie. Halo 2. Xbox. Microsoft Game Studios. 343 Guilty Spark: Fail-safe protocol: in the event of unexpected shut-down, the entire system will move to standby status. All installations are now ready for remote activation. / Commander Keyes: Remote activation? From here? / 343 Guilty Spark: [...] Why... the Ark, of course. ^ "Campaign". Halo Waypoint. 343 Industries. Archived from the original on June 6, 2013. Retrieved November 11, 2012. ^ Evans-Thirlwell, Edwin (June 5, 2012). "Halo 4 screens: Promethean Knights, Sticky Launcher and Forerunner Scattershot". Official Xbox Magazine UK. Retrieved June 10, 2012. ^ a b "Hail to the Chief". gamesTM (61): 30–41. September 2007. ^ "Halo on Metacritic". Metacritic. Archived from the original on June 29, 2007. Retrieved June 11, 2007. ^ a b "Inside Bungie: History". Bungie. Archived from the original on May 2, 2006. Retrieved June 19, 2006. ^ a b "Microsoft to Acquire Bungie Software". Microsoft. June 19, 2000. Archived from the original on May 1, 2006. Retrieved March 11, 2008. ^ Fielder, Joe (November 9, 2001). "Halo: Combat Evolved review at GameSpot". GameSpot. Retrieved August 2, 2006. ^ Bakken, Lars et al. (2007). Is Quisnam Protero Damno!. Washington: Bungie. ^ Accardo, Sal (November 15, 2001). "GameSpy's review of Halo: Combat Evolved for the Xbox". GameSpy. Archived from the original on October 19, 2006. Retrieved September 2, 2006. ^ "Halo: Combat Evolved PC version on Metacritic". Metacritic. Retrieved August 22, 2006. ^ "Halo: Combat Evolved Mac version at GameSpot". GameSpot. Archived from the original on October 10, 2004. Retrieved August 22, 2006. ^ a b "Halo Retrospective: Halo 2". UGO Networks. Archived from the original on February 10, 2008. Retrieved February 19, 2008. ^ "Halo 2 tops Live most-played list". Eurogamer. February 21, 2006. Retrieved December 10, 2006. ^ Achronos; Bungie (May 9, 2006). "Halo 3 Announced". Inside Bungie. Bungie. Archived from the original on May 4, 2008. Retrieved August 6, 2007. ^ Goldstein, Hilary (August 10, 2007). "Burn, Baby! Burn!". IGN. pp. 1–2. Retrieved August 10, 2007. ^ Jarrard, Brian; O'Connor, Frank; Smith, Luke (August 28, 2007). Official Bungie Podcast: 08/28/07. Bungie. Archived from the original on February 6, 2012. Retrieved September 2, 2007. ^ "Finish the Fight". Edge (UK) (179): 66–77. September 2007. ISSN 1350-1593. Archived from the original on September 30, 2007. Retrieved August 7, 2007. ^ Milian, Mark (May 11, 2011). "'Halo' and creators move on after divorce". CNN. Retrieved July 10, 2014. ^ Orry, James (July 21, 2009). "Is 343 Industries Microsoft's Halo studio?". Retrieved January 6, 2013. ^ Milian, Mark (May 11, 2011). "Halo' and creators move on after divorce". CNN. Retrieved January 5, 2013. ^ "Microsoft leaks details about next Halo game". VentureBeat. June 6, 2011. Retrieved August 6, 2012. ^ Wesley Yin-Poole (August 28, 2011). "Halo 4, 5, 6 the "Reclaimer Trilogy"". Eurogamer. Retrieved July 1, 2013. ^ "343 Industries opens up on Halo 4, The Reclaimer Trilogy". GameSpot. CBS Interactive Inc. Retrieved November 13, 2014. ^ Rosenberg, Adam (November 7, 2012). "Halo 4 Promethean Guide – Enemies, New Weapons, And What It Takes To Win". G4. Archived from the original on February 22, 2013. Retrieved November 11, 2012. ^ McElroy, Griffin (July 7, 2012). "'Halo 4' Forge mode in development at Certain Affinity". Polygon. Archived from the original on June 6, 2013. Retrieved June 6, 2013. ^ Shea, Jessica (October 10, 2012). "The Halo Bulletin: 10.10.12". HaloWaypoint.com. Archived from the original on June 6, 2013. Retrieved October 14, 2012. ^ "Halo 4 release date confirmed for November by Microsoft". BBC Radio 1 Newsbeat. BBC. April 18, 2012. Retrieved June 14, 2012. ^ Molina, Brett (November 12, 2012). "'Halo 4' snags $220 million on first day". USA Today. Archived from the original on June 6, 2013. Retrieved November 12, 2012. ^ Dyer, Mitch (April 9, 2012). "Spartan Ops and Infinity Change Halo 4 Multiplayer". IGN. Ziff Davis. Archived from the original on June 6, 2013. Retrieved July 23, 2012. ^ "The Halo Journey". Xbox Wire. Microsoft. Retrieved December 15, 2014. ^ Statt, Nick (September 23, 2015). "Halo 5: Guardians' story shows Master Chief at his most vulnerable". The Verge. Vox Media. Retrieved November 8, 2015. ^ Watts, Steve. "E3 2018: Halo Infinite Revealed As New Halo Xbox One Game". GameSpot. Retrieved June 10, 2018. ^ "Halo Infinite - Our Journey Begins". Halo Waypoint. June 10, 2018. Retrieved September 3, 2018. ^ Robinson, Andy (June 21, 2007). "Interview: Ensemble talks up the console RTS". Computer and Video Games. Archived from the original on August 13, 2007. Retrieved October 4, 2007. ^ lukems (July 7, 2008). "E3 Announcement Shelved, For Now". Bungie. Archived from the original on July 23, 2008. Retrieved July 23, 2008. ^ Pham, Alex (July 16, 2008). "Microsoft explains Halo's no-show at E3 game conference". Los Angeles Times. Archived from the original on July 22, 2008. Retrieved July 23, 2008. ^ Geddes, Ryan (September 25, 2008). "Bungie Video Teases New Game". IGN. Retrieved September 25, 2008. ^ Kleinman, Jacob (October 16, 2017). "'Halo Recruit' is a Disappointing Demo, But Offers Promise of What May Come". Glixel. Retrieved January 22, 2018. ^ Warren, Tom (May 17, 2018). "Microsoft's new Halo arcade game lives inside a giant coin-operated machine". The Verge. Retrieved May 17, 2018. ^ "Raw Thrills and Microsoft join forces to bring Halo to arcades". Arcade Heroes. Retrieved October 11, 2018. ^ McLaughlin, Rus (September 20, 2007). "IGN Presents The History of Halo". IGN. Retrieved March 20, 2008. ^ Terdiman, Daniel (October 18, 2004). "I Love Bees Game a Surprise Hit". Wired News. Retrieved March 19, 2008. ^ Shachman, Noah (November 4, 2004). "Sci-Fi Fans Are Called Into an Alternate Reality". The New York Times. Retrieved March 19, 2008. ^ Hein, Kenneth (September 10, 2007). "Anatomy Of An Onslaught: How Halo 3 Attacked". Brandweek. Archived from the original on February 10, 2008. Retrieved March 20, 2008. ^ Thorsen, Tor (June 18, 2004). "Rumor Control: Halo GBA and Dirty Harry: The Game". GameSpot. Archived from the original on February 19, 2006. Retrieved June 6, 2008. ^ Thorsen, Tor (January 7, 2005). "Rumor Control: Xbox Next Patents and Gizmondo Halo". GameSpot. Archived from the original on December 1, 2008. Retrieved June 6, 2008. ^ Grant, Christopher (May 5, 2006). "Gizmondo Halo "project" used cam-mouselook". Joystiq. Retrieved June 6, 2008. ^ Thorsen, Tor (March 9, 2006). "Origami officially unveiled". GameSpot. Archived from the original on October 7, 2008. Retrieved June 12, 2008. ^ a b Casamassina, Matt (January 1, 2007). "Matt Casamassina claims playing Halo DS". IGN. Archived from the original on September 7, 2007. Retrieved October 2, 2007. ^ Casamassina, Matt (October 2, 2007). "Matt Casamassina demonstrates 'Halo DS'". IGN. Archived from the original on December 16, 2008. Retrieved October 2, 2007. ^ Crecente, Brian (October 5, 2007). "Bungie Owns Bungie: The Q&A". Kotaku. Archived from the original on October 11, 2007. Retrieved October 5, 2007. ^ O'Connor, Frank (April 25, 2008). "Bungie Weekly Update 04/25/08". Bungie. Archived from the original on June 11, 2009. Retrieved April 23, 2009. ^ Carless, Simon (March 7, 2007). "GDC: Microsoft Talks Episodic Halo Xbox 360 Series". Gamasutra. Retrieved January 15, 2007. ^ Robinson, Andy (August 1, 2008). "Microsoft STILL hiring for Halo Chronicles". Computer and Video Games. Archived from the original on August 22, 2008. Retrieved February 9, 2009. ^ Kelly, Kevin (July 24, 2009). "Peter Jackson tells Joystiq about the Halo movie, video game project". Joystiq. Retrieved July 24, 2009. ^ Nutt, Christian (July 24, 2009). "Reports: Halo: Reach Bungie's Last Halo Game, More". Gamasutra. Retrieved July 25, 2009. ^ Fritz, Ben (July 27, 2009). "Halo project dead, Peter Jackson's working on original video games". Los Angeles Times. Archived from the original on July 31, 2009. Retrieved July 28, 2009. ^ Staff (September 23, 2008). "Exclusive: Ensemble Studios' Canceled Project Was Halo MMO". Gamasutra. Retrieved October 27, 2009. ^ "HALO MMO (Titan) [X360 PC – Cancelled] – Unseen 64". Unseen 64: Beta, Cancelled & Unseen Videogames!. Archived from the original on April 23, 2012. ^ "Halo Online closed beta launching in Russia". Halo Waypoint. Microsoft. March 25, 2015. Retrieved March 26, 2015. ^ Francis, Bryant (August 25, 2016). "Microsoft cancels free-to-play Halo Online". Gamasutra. UBM. Retrieved August 25, 2016. ^ "Unofficial Halo Online mod adds six new maps from Halo 3". pcgamer. Retrieved January 30, 2017. ^ O'Connor, Frank (December 13, 2005). "Go Tell the Spartans: The Making of Slugfest". Bungie. Archived from the original on March 19, 2008. Retrieved October 10, 2007. ^ Hryb, Larry (November 21, 2007). "Guitar Hero III: Halo Theme Mjolnir Mix (Free)". Major Nelson. Retrieved June 9, 2012. ^ McWhertor, Michael (February 21, 2016). "Halo's The Arbiter is coming to Killer Instinct Season 3". Polygon. Vox Media. Retrieved February 22, 2016. ^ Makuch, Eddie (December 15, 2014). "Microsoft Wants Halo to Last Another 30 Years". GameSpot. CBS Interactive. Retrieved December 17, 2014. ^ Minotti, Mike (June 10, 2018). "Halo: Infinite starts Microsoft's E3 show". VentureBeat. Retrieved June 10, 2018. ^ Trautmann, Eric (2004). The Art of Halo. New York: Del Ray Publishing. p. ix. ISBN 978-0-345-47586-2. ^ McLaughlin, Rus (September 20, 2007). "IGN Presents The History of Halo". IGN. pp. 1–3. Retrieved November 1, 2008. ^ Toyama, Kevin (May 2001). "Cover Story: Holy Halo". Next Generation Magazine: 61. ^ a b Lopez, Vincent (July 21, 1999). "Heavenly Halo Announced from Bungie". IGN. Retrieved March 11, 2008. ^ Hiatt, Jesse (November 1999). "Halo The Closest Thing to the Real Thing". Computer Gaming World: 94–96. Retrieved March 11, 2008. ^ Lopez, Vincent (March 4, 2001). "Playable Halo at GameStock". IGN. Retrieved March 12, 2008. ^ Alexander, Leigh (August 14, 2009). "Interview: Former Microsoft Exec Fries Talks Xbox's Genesis". Gamasutra. Retrieved August 17, 2009. ^ "Halo 2 and Project Gotham Racing 2 Announced!". IGN. August 8, 2002. Retrieved March 19, 2008. ^ Blevins, Tal (August 20, 2004). "Halo 2 Hands-On". IGN. Retrieved March 19, 2008. ^ Mirabella, Fran (May 24, 2004). "Halo 2 Multiplayer Hands-On Vol. 4". IGN. Retrieved March 19, 2008. ^ Achronos (May 9, 2006). "Halo 3 Announced". Bungie. Archived from the original on May 4, 2008. Retrieved August 6, 2007. ^ O'Donnell, Martin (September 25, 2007). Halo 2 Developer's Commentary. Halo 3 Collector's Edition (video game). Microsoft Game Studios. Event occurs at 04:00. I remember when we were doing the Cortana Letters years ago where we had the entire plan from the beginning of the Cortana Letters to the end of the trilogy. ^ Sanders, Kathleen (May 9, 2006). "E3 2k6: Halo 3 Trailer Impressions". IGN. Retrieved June 25, 2007. ^ Klepek, Patrick (March 19, 2007). "Bungie Says Halo 3 Graphics are coming Together". 1UP.com. Archived from the original on July 18, 2012. Retrieved October 2, 2007. ^ a b c Fritz, Ben (July 22, 2009). "Video game publishers Microsoft, Ubisoft invading Hollywood's turf". Los Angeles Times. Archived from the original on July 24, 2009. Retrieved July 22, 2009. ^ Hryb, Larry (December 9, 2009). "Show #343: Interviews with members of 343 Industries about Halo and more". Major Nelson Radio. Retrieved December 9, 2009. ^ Smith, Luke (May 16, 2008). "Bungie Weekly Update: 5/16/2008". Bungie. Archived from the original on August 18, 2009. Retrieved July 22, 2009. ^ "Halo Legends and Halo Waypoint Announced at Comic-Con". Xbox.com. July 23, 2009. Archived from the original on July 26, 2009. Retrieved July 25, 2009. ^ McWhertor, Michael (July 25, 2009). "Halo Waypoint Further Detailed By Microsoft". Kotaku. Retrieved July 25, 2009. ^ "Halo 4 Reviews". GameRankings. CBS Interactive. Retrieved April 14, 2013. ^ "Halo 4 Reviews". Metacritic. CBS Interactive. Retrieved November 17, 2012. ^ a b Frank O'Connor (April 12, 2006). "The Bungie Guide to Sci Fi". Bungie. Archived from the original on October 18, 2012. Retrieved May 12, 2012. ^ a b c d Anon. (2010). Mott, Tony (ed.). "2001: A Space Odyssey". Edge (215): 86. Published online as: "The Best Games Of 2000 To 2009: Halo: Combat Evolved". Edge-Online.com. April 29, 2011. Archived from the original on June 29, 2012. Retrieved May 12, 2012. ^ a b Douglass C. Perry (March 17, 2007). "The Influence of Literature and Myth in Videogames". IGN. Archived from the original on February 20, 2009. Retrieved December 10, 2007. ^ Stover, Matthew (2006). Glenn Yeffeth (ed.). Halo Effect. You Are the Master Chief. Dallas, Texas: Benbella Books. ISBN 978-1-933771-11-3. ^ "All the Right Moves". Bungie. February 18, 2010. Archived from the original on June 7, 2010. Retrieved June 20, 2010. ^ a b Travis, Roger (October 10, 2006). "Bungie's Epic Achievement: Halo and the Aeneid". The Escapist. Retrieved December 10, 2007. ^ Marks, Aaron (December 2, 2002). "The Use and Effectiveness of Audio in Halo: Game Music Evolved". Music4Games. Archived from the original on October 11, 2007. Retrieved September 6, 2006. ^ O'Donnell, Martin (2002). "Introduction". Halo: Original Soundtrack (Media notes). Sumthing. ^ a b O'Donnell, Martin (2006). "Introduction". Halo 2 Original Soundtrack: Volume Two (Media notes). Sumthing. ^ O'Donnell, Martin (2006). "Introduction". Halo 2 Original Soundtrack: Volume One (Media notes). Sumthing. ^ O'Connor, Frank; O'Donnell, Martin; Smith, Luke; Jarrard, Brian. "Bungie Podcast Ep. 51: With Martin O'Donnell". Bungie. Archived from the original on July 13, 2007. Retrieved December 10, 2007. ^ O'Donnell, Martin (2007). "Introduction". Halo 3 Original Soundtrack (Media notes). Sumthing. ^ Staff (September 20, 2007). "Interview with Halo 3 Composer Marty O'Donnell". Music4Games. Archived from the original on March 9, 2008. Retrieved April 13, 2008. ^ Traiman, Steve (December 1, 2008). ""Halo Trilogy" soundtrack set previews new game". Reuters. Retrieved December 3, 2008. ^ Damigella, Rick (September 19, 2009). "Halo 3: ODST Soundtrack Review – Music for Repelling the Covenant". G4tv.com. Archived from the original on September 24, 2012. Retrieved May 30, 2011. ^ Bedegian, Louis (February 13, 2009). "GameZone Chats with Halo Wars Composer Stephen Rippy". GameZone. Archived from the original on January 23, 2010. Retrieved February 17, 2009. ^ Microsoft, Sumthing Else Music Works (January 15, 2009). "Sumthing announces the release of Halo Wars Original Soundtrack". Music4Games. Archived from the original on February 19, 2009. Retrieved February 15, 2009. ^ Solomon, Rizal (January 10, 2009). "Saturday Halo onslaught". New Straits Times. p. 4. ^ Pachner, Joanna (May 29, 2009). "The Empire Strikes Back". The Globe and Mail. p. 52. ^ Longdale, Holly. "Game Worlds in Written Words". Xbox.com. Archived from the original on February 28, 2007. Retrieved September 2, 2006. ^ a b Klepek, Patrick (May 5, 2003). "Halo novel cracks bestseller". Gaming Age. Archived from the original on October 11, 2007. Retrieved September 2, 2006. ^ "The Next Halo Novel: Ghosts of Onyx". Bungie. August 29, 2006. Archived from the original on October 19, 2006. Retrieved September 2, 2006. ^ Wu, Louis (October 22, 2004). "Joe Staten Interview". Halo.Bungie.Org. Retrieved August 6, 2006. ^ Thorson, Thor (August 12, 2009). "Tor Books forging Halo short-story comp". GameSpot. Retrieved September 12, 2009. ^ a b Parker, Laura (May 19, 2010). "Halo novels get a makeover". GameSpot. Archived from the original on May 23, 2010. Retrieved May 19, 2010. ^ Staff (October 8, 2010). "Science Fiction Legend Greg Bear Set to Explore the Time of the Forerunners". Halo Waypoint. Microsoft. Archived from the original on October 9, 2010. ^ "Tor Books Updates Release Date of the Third Halo Novel by Legendary Science Fiction Author Greg Bear". Archived from the original on December 29, 2012. Retrieved December 29, 2012. ^ "Bestselling Author Karen Traviss Set to Explore the Halo Universe". Halo.Xbox.com. Microsoft. July 20, 2010. Archived from the original on July 23, 2010. Retrieved July 20, 2010. ^ Hillier, Brenna (November 4, 2014). "Read a chunk of the new Halo novel". VG 24/7. Retrieved November 4, 2014. ^ Staff. "Halo Graphic Novel at IGN". IGN. Retrieved September 2, 2006. ^ "Halo Uprising #4 Hits Stores Today!". Marvel Comics. April 15, 2009. Retrieved April 17, 2009. ^ Collura, Scott (February 7, 2009). "NYCC 09: Halo Returns to Marvel". IGN. Retrieved February 8, 2009. ^ Bailey, Kat (April 22, 2009). "Halo: Helljumpers Coming This July". 1UP.com. Archived from the original on July 30, 2012. Retrieved April 22, 2009. ^ George, Richard (February 8, 2009). "The Halo War Continues at Marvel". IGN. Retrieved February 14, 2009. ^ George, David (September 22, 2009). "Marvel's December '09 Releases". IGN. Retrieved September 23, 2009. ^ Schedeen, Jesse; Esposito, Joey (April 28, 2011). "Halo: Orchestrating the Fall of Reach". IGN. Ziff Davis. Retrieved September 21, 2015. ^ Schedeen, Jesse (August 14, 2013). "Halo: Initiation #1 Review". IGN. Ziff Davis. Retrieved September 21, 2015. ^ Schedeen, Jesse (July 22, 2013). "Comic-Con: Halo Goes Ongoing at Dark Horse". IGN. Ziff Davis. Retrieved September 21, 2015. ^ Linder, Brian (February 3, 2005). "Halo Goes Hollywood". IGN. Retrieved September 9, 2006. ^ a b Brodesser-Akner, Claude (October 6, 2010). "The New Halo Game Is a Hit – So What's the Status of the Halo Movie?". New York. Archived from the original on October 8, 2010. Retrieved October 8, 2010. ^ Staten, Joseph. "The Great Hollywood Journey, Part II". Bungie. Archived from the original on October 25, 2005. Retrieved September 9, 2006. ^ Chris Hewitt (February 8, 2008). "Guillermo Del Toro Talks The Hobbit". Empire. Archived from the original on November 7, 2011. Retrieved February 8, 2008. ^ Thorsen, Tor (October 31, 2006). "Halo movie indefinitely postponed". GameSpot. Archived from the original on February 27, 2007. Retrieved March 13, 2007. ^ Farrell, Nick (October 9, 2007). "Halo movie canned". The Inquirer. Retrieved May 30, 2008. ^ Robinson, Andy (October 29, 2007). "Q&A: MS "already in talks" to continue Halo film". Computer and Video Games. Archived from the original on October 30, 2007. Retrieved October 30, 2007. ^ Chen, David (July 24, 2009). "Confirmed: Director Neill Blomkamp Would Probably Not Do a Halo Film, Even If Offered One". /Film. Retrieved July 24, 2009. ^ Neill Blomkamp; Peter Jackson (July 27, 2009). "Halo Movie Interview – SDCC 09: Will Halo Still Happen?". IGN. Retrieved July 27, 2009. ^ "RIDLEY SCOTT AND MICROSOFT TEAM FOR HALO DIGITAL FEATURE". IGN. Retrieved February 3, 2014. ^ "News: Halo: Nightfall first look: meet". ^ Henry Gilbert (July 24, 2014). "Halo: Nightfall is the origin story of Halo 5's next big Spartan". ^ Eerste "Eerste boek Borderlands verschenen". Meer dan Games. ^ LeBlanc, Brandon (November 11, 2014). "Immerse yourself in the Halo Universe with The Halo Channel". Windows Blog. Microsoft. Retrieved February 24, 2015. ^ Phillips, Tom (February 24, 2015). "Halo: Nightfall available on demand, DVD next month". Eurogamer. Retrieved February 24, 2015. ^ El Mayimbe (January 25, 2014). "EXCLUSIVE: Take A Guess Who's Directing Spielberg Produced 'Halo' Pilot!". Latino Review. Archived from the original on January 29, 2014. ^ Goldman, Eric (August 11, 2015). "Showtime Still Developing Halo TV Series". IGN. Retrieved August 11, 2015. ^ "Spielberg's Halo TV Series Starts Filming This Fall". Screen Rant. March 1, 2018. Retrieved March 1, 2018. ^ "Halo TV show finally greenlit by Showtime: 'Our most ambitious series ever". Entertainment Weekly. June 28, 2018. Retrieved April 13, 2019. ^ "Showtime's Halo TV Show Loses Producer/Director Rupert Wyatt". Screen Rant. December 4, 2018. Retrieved April 13, 2019. ^ "Showtime's Halo TV Series Hires Robin Hood Director Otto Bathurst". Screen Rant. February 21, 2019. Retrieved April 13, 2019. ^ "Pablo Schreiber to Play Master Chief in Showtime's 'Halo' Live-Action Series". The Hollywood Reporter. April 17, 2019. Retrieved April 17, 2019. ^ Sinclair, Brendan (January 7, 2010). "Halo Legends slips to Feb. 16". GameSpot. Archived from the original on February 4, 2012. Retrieved January 25, 2010. ^ Goldstein, Hilary; Brudvig, Erik (July 23, 2009). "SDCC 09: Halo Panel Live Blog". IGN. Retrieved July 24, 2009. ^ Futter, Mike (July 10, 2015). "Halo: The Fall Of Reach Animated Series Comes With Halo 5 Collector's Editions". Game Informer. GameStop. Retrieved September 21, 2015. ^ Mejia, Ozzie (July 10, 2015). "Halo: The Fall of Reach gets first teaser while Halo Channel goes mobile". Shacknews. Retrieved September 21, 2015. ^ "Prepare for all-out war". The Sydney Morning Herald. Fairfax Media. August 30, 2007. p. 1. Retrieved March 3, 2015. ^ Martin, Matt (January 8, 2009). "Halo series sells 25m worldwide". GamesIndustry.biz. Gamer Network. Retrieved March 3, 2015. ^ Osborne, Eric (May 24, 2010). "Halo: Reach Launches 09.14.2010!". Bungie. Retrieved March 3, 2015. ^ Yin-Poole, Wesley (October 31, 2012). "More than 46 million Halo games have been sold worldwide". Eurogamer. Gamer Network. Retrieved March 3, 2015. ^ "Halo: The Master Chief Collection Now Available for Pre-order and Pre-download". Xbox Wire. Microsoft. October 17, 2014. Retrieved March 3, 2015. ^ a b Brustein, Joshua (October 22, 2015). "Can the Woman Behind Halo 5 Save the Xbox?". Bloomberg Business. Archived from the original on October 23, 2015. Retrieved November 11, 2015. ^ Patrizio, Andy (January 8, 2002). "Xbox Assault Only Starting". Wired. Condé Nast. Retrieved September 27, 2006. ^ ""Halo: Combat Evolved" for Xbox Tops 1 Million Mark In Record Time: Xbox System And Games Are Off to Recording-Setting Start in Just Four Months". Microsoft. April 8, 2002. Archived from the original on January 6, 2008. Retrieved September 1, 2006. ^ Thorsen, Tor (November 10, 2004). "Microsoft raises estimated first-day Halo 2 sales to $124 million-plus". GameSpot. CBS Interactive. Retrieved March 15, 2006. ^ "November 9 – By the Numbers". Official Xbox Magazine (40): 15. January 2005. ^ a b Craig Glenday, ed. (March 11, 2008). "Review of the Year: 2007 Chart". Guinness World Records Gamer's Edition 2008. Guinness World Records. Guinness. p. 14. ISBN 978-1-904994-21-3. ^ Brendan Sinclair. "Analyst: 4.2M Halo 3s already at retail". GameSpot. Archived from the original on July 6, 2008. Retrieved September 24, 2007. ^ a b c d Craig Glenday, ed. (March 11, 2008). "Record-Breaking Shooting Games: Halo". Guinness World Records Gamer's Edition 2008. Guinness World Records. Guinness. pp. 98–99. ISBN 978-1-904994-21-3. ^ Hillis, Scott (October 4, 2007). "Microsoft says "Halo" 1st-week sales were $300 mln". Reuters. Retrieved October 8, 2007. ^ Craig Glenday, ed. (March 11, 2008). "Hardware: Best-Sellers by Platform". Guinness World Records Gamer's Edition 2008. Guinness World Records. Guinness. p. 51. ISBN 978-1-904994-21-3. ^ Alexander, Leigh (March 19, 2009). "Halo Wars Sells 1 Million". Gamasutra. Retrieved March 19, 2009. ^ Koha, Nuite (August 9, 2009). "Halo Shines". Herald Sun. p. 13. ^ Staff (May 24, 2010). "Biggest Blockbuster Game of the Year 'Halo: Reach' Launches Sept. 14, 2010". GamerScore Blog. Microsoft. Archived from the original on May 27, 2010. Retrieved June 15, 2010. ^ Beaumont, Claudine (September 13, 2010). "Halo Reach: Thousands expected to queue for midnight release". The Daily Telegraph. Retrieved April 4, 2011. ^ Osborne, Eric (April 29, 2010). "Non Facete Nobis Calcitrare Vestrum Perinæum". Bungie. Archived from the original on May 2, 2010. Retrieved May 3, 2010. ^ Trust, Gary (September 23, 2010). "Weekly Chart Notes: Bruno Mars, Rihanna, 'Halo'". Billboard. Archived from the original on September 26, 2010. Retrieved September 26, 2010. ^ "GameSpy.com – Gaming's Homepage". archive.org. Archived from the original on February 24, 2006. ^ "Halo News – Halo Official Site – Tor Books Reveals Title, Cover Art, And Release Date of Second Halo Novel By Greg Bear". archive.org. Archived from the original on July 22, 2011. ^ Bs Angel (January 3, 2012). "Tor Books Announces the On-sale Availability of Halo: Primordium". Halo Waypoint. Archived from the original on July 17, 2012. ^ "BC-Best-sellers-Books-PW". San Francisco Chronicle. Associated Press. December 4, 2008. Archived from the original on February 20, 2009. Retrieved December 5, 2008. ^ Greene, Marty. "First Strike Author Eric Nylund Q&A". Xbox.com. Archived from the original on August 21, 2006. Retrieved September 2, 2006. ^ Brightman, James (November 19, 2007). "Halo: Contact Harvest Becomes New York Times Bestseller in First Week". GameDaily.com. Archived from the original on February 15, 2009. Retrieved January 15, 2008. ^ Berardini, Cesar (August 5, 2007). "Halo: Ghosts of Onyx Enjoys Mass Market Debut Today". Team Xbox. Archived from the original on March 14, 2008. Retrieved April 13, 2008. ^ "Best Sellers". The New York Times. January 23, 2011. Retrieved August 17, 2012. ^ "BC-Best-sellers-Books-USAToday". San Francisco Chronicle. Associated Press. December 4, 2008. Archived from the original on April 22, 2009. Retrieved December 5, 2008. ^ "New Halo Trilogy from Tor Books". Halo.Xbox.com. Microsoft. April 6, 2009. Archived from the original on May 15, 2009. Retrieved July 24, 2009. ^ "The Academy of Interactive Arts & Sciences:: Awards". The Academy of Interactive Arts & Sciences. February 28, 2002. Archived from the original on September 29, 2007. Retrieved September 1, 2006. ^ "Halo: Combat Evolved – Awards". Xbox.com. Archived from the original on December 10, 2006. Retrieved September 1, 2006. ^ a b Douglass C. Perry; Erik Brudvig; Jon Miller (March 17, 2007). "The Top 25 Xbox Games of All Time". IGN. Retrieved April 23, 2008. ^ "Readers' Picks Top 100 Games: 11–20". IGN Readers' Choice 2006 – The Top 100 Games Ever. IGN. 2006. Retrieved January 23, 2008. ^ "Top 25 Most Overrated Games of All Time". GameSpy. September 15, 2003. Archived from the original on May 13, 2011. Retrieved June 26, 2006. ^ "Halo 2 Awards". Xbox.com. Archived from the original on June 26, 2007. Retrieved February 12, 2007. ^ "Halo 2 tops Live most-played list". Eurogamer. February 21, 2006. Retrieved March 18, 2008. ^ Grossman, Lev (December 9, 2007). "50 Top 10 Lists of 2007 – Top 10 Video Games". Time. Retrieved March 10, 2008. ^ "Best of 2007: Best Online Multiplayer Game (Xbox 360)". IGN. Archived from the original on January 10, 2008. Retrieved January 14, 2008. ^ "Best of 2007: Most Innovative Design (Xbox 360)". IGN. Archived from the original on January 10, 2008. Retrieved January 14, 2008. ^ Goldstein, Hilary (September 23, 2007). "IGN (USA) Halo 3 Review". IGN. Retrieved September 23, 2007. ^ a b Graziani, Gabe (September 23, 2007). "GameSpy Halo 3 Review". GameSpy. Retrieved September 23, 2007. ^ Herold, Charles (September 27, 2007). "Halo 3 Mimics Halo 2, With Some Improved Graphic". The New York Times. Retrieved October 3, 2007. ^ Wilcox, Jon (September 27, 2007). "TVG Review: Halo 3". Total Video Games. Archived from the original on December 14, 2007. Retrieved October 3, 2007. ^ Boulding, Aaron (November 9, 2001). "Halo: Combat Evolved review at IGN". IGN. Retrieved August 31, 2006. ^ McNamara, Andy. "Halo 2 review at Game Informer". Game Informer. Archived from the original on January 9, 2006. Retrieved February 9, 2007. ^ "Master Chief Invades Madame Tussauds". Microsoft. September 10, 2007. Archived from the original on September 16, 2007. Retrieved September 21, 2007. ^ Brightman, James (November 17, 2004). "Halo 2's Success A Part of Pop Culture". GameDaily. Archived from the original on February 20, 2009. Retrieved November 13, 2007. ^ Grossman, Lev (April 18, 2005). "The Halo Trinity: Making Games That Matter". Time. Retrieved November 13, 2007. ^ Schiesel, Seth (September 26, 2007). "Halo 3 Arrives, Rewarding Gamers, and Microsodt". The New York Times. Retrieved November 13, 2007. ^ Beatty, D'Marcus. "Halo Influence on the Gaming Industry". CheatCC.com. Retrieved November 13, 2007. ^ Graser, Mark (September 4, 2010). "'Halo': the care and feeding of a franchise". Variety. Archived from the original on October 2, 2010. Retrieved October 2, 2010. ^ Chong, David (April 15, 2008). "Turning video games into movies". Marketplace. American Public Media. Archived from the original on September 27, 2011. Retrieved May 12, 2008. ^ Price, Peter (October 16, 2007). "Machinima waits to go mainstream". BBC. Retrieved February 11, 2009. ^ Thompson, Clive (August 7, 2005). "The Xbox Auteurs". The New York Times. Retrieved January 8, 2006. ^ Kohler, Chris (June 26, 2007). "Machinima Series Red vs. Blue Ends Tour of Duty". Wired. Retrieved June 13, 2011. ^ Gallaga, Omar (March 27, 2007). "Game Over [Final Edition]". Austin American-Statesman. p. F1. Wikimedia Commons has media related to Halo (series).